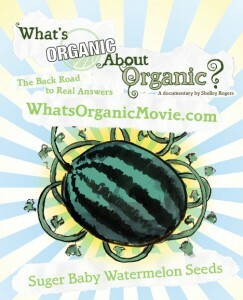 Winner of the prestigious Our Planet award at the Los Angeles Going Green Film Festival & voted Best Documentary at the Magnolia Film Festival,What’s Organic About Organic? 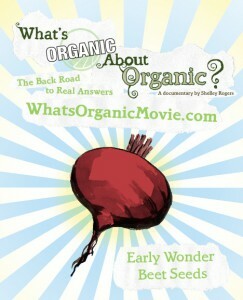 (WOAO) seeks strategic partnerships with companies whose values are in line with those of the film. One hundred percent of sponsorship donations received will be used to support the WOAO team in its efforts to distribute the film with a strategic, grassroots focus on lasting engagement. 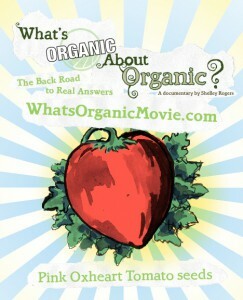 We hope that you will partner with us to bring a clear message about the importance of organic farming to a larger audience. • Product giveaways (swag bags and samples)—partner gets their product into the hands of target demographic. • Ticket/merchandise giveaway—partner buys X number of movie tickets, DVDs or T-shirts to give away at screenings or parties. • Event marketing—partner organizes an event using the film (screening, post-screening party, workshop, volunteer drive, etc.) & promotes it to target demographic. • Online events—partner can sponsor events during which characters from the film and/or director of the film discuss relevant issues with an online audience. If you are interested in partnership opportunities, please contact us at: littlebeanproductions@gmail.com! A five-star experience of strategic cross-promotional opportunities! A home-cooked delight of strategic cross-promotional opportunities! o Opportunities for Partner logos on WOAO Merchandise (organic cotton T-shirts and totes) are available.